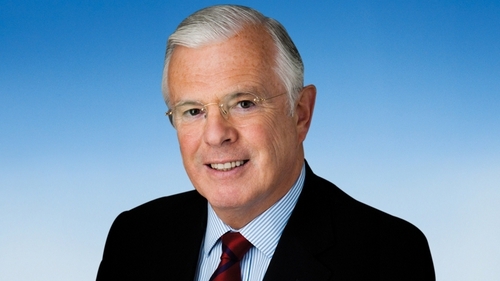 Former Dublin South TD Peter Mathews has died aged 65. He had been diagnosed with cancer last year. Mr Mathews was elected as a Fine Gael TD in 2011 but lost the whip in 2013 after splitting with the party over the Protection of Life during Pregnancy Bill. He contested last year's election where he lost his seat. Minister of State for European Affairs Dara Murphy paid tribute to Mr Mathews, describing him as a very charming man who helped everyone, not only in his own party, but right across the house. Former taoiseach John Bruton said Mr Mathews was a "brave, good humoured and principled politician" who always had the best interests of his country at heart. Fianna Fáil leader Micheál Martin said Mr Mathews was a "diligent and dedicated public representative who worked tirelessly on behalf of his constituents". He described him as a "principled man who was not afraid to stand up for what he believed in". Fianna Fáil TD Stephen Donnelly said news of Mr Mathew's death was "heartbreaking". He said Mr Mathews had been deeply dedicated to the country and had gone into politics for one reason - and that was to dig Ireland out of a hole. Fine Gael Senator Neale Richmond also paid tribute to the former TD, saying he was held in high regard by his community and was "an absolute gentleman". Mr Mathews is survived by his wife Susan and their four children.